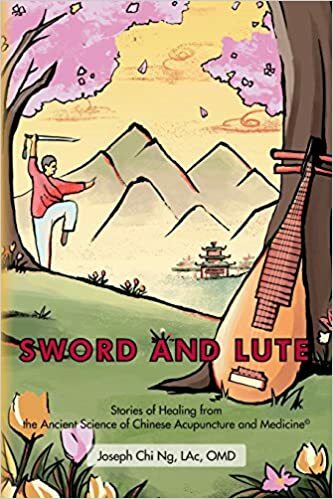 Purchase Dr. Ng’s book, Sword and Lute: Stories of Healing from the Ancient Science of Chinese Acupuncture and Medicine, here. This book is written by a master physician of Acupuncture and Traditional Chinese medicine (TCM). In writing it, Dr. Joseph C. Ng fulfills the request of his patients who have asked him to share the benefits of this system of medicine which is over 4,000 years old. The best way to reveal these benefits, Dr. Ng reasoned, was to tell his patients’ own stories, and in doing so he brings to life the reciprocity that exists between patient and physician in the healing process. Though the encounters described in these stories protect the identity of his patients, they are true and taken from case notes collected over Dr. Ng’s 40-year career. But these short stories are not just dry, clinical case studies. Rather, they are full of our human condition – the universal sufferings that people from all walks of life experience, and the wish of the physician to aid in having those sufferings relieved. To do this successfully, the perspective of a TCM doctor is one that sees the patient holistically, as a dynamic natural system, where at every moment the body is influencing the mind and the mind is influencing the body. TCM is slowly being accepted in the West as an ‘ancient science.’ The body’s energetic pathways have been mapped, and the function and relationship of the organs to each other have been extensively described in TCM medical manuals. Through the centuries, different approaches to treatment have evolved, for example, the placement of needles and how many of them to use for a given condition, but all schools of thought believe in continued research into the benefits of TCM. Most recently, medical scientist Tu Youyou shared the 2015 Noble Prize for Physiology and Medicine which was awarded in recognition of her life-long research and treatment discoveries using TCM. As these stories reveal, there is more to healing than mechanics and method. In its country of origin, TCM contains a profound spiritual dimension that employs the interior life of the doctor in a vital role of the healing process. To be a practitioner of TCM, therefore, is to continue one’s own self-development through study and practice. In this way, the patient can be helped even more through the mind medicine of wisdom, compassion, confidence, and creativity.